Reggie and I like to shoot guns, but like to do it on a budget. 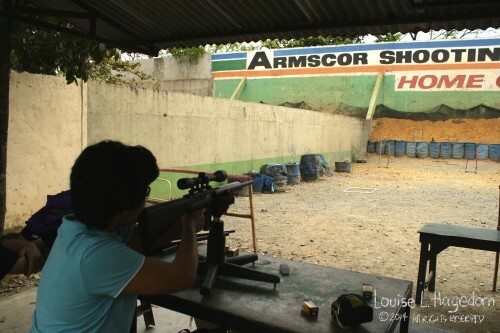 Armscor Shooting Center in Marikina currently has a promo called “Armscor Experience” where you can test their guns for free. 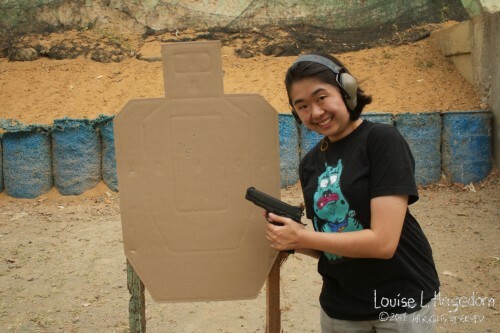 There’s no range fee or gun rental fee. Just pay for the bullets that you use. We made a trip to Marikina with my cousin Ela and our friend Bamboo. They have a huge 2 hectare outdoor range. 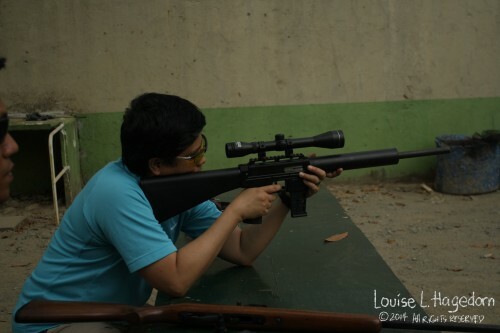 It’s one of the few ranges near Manila where you can shoot rifles! It’s only 20 kilometers from the house, but the traffic can make it a two hour trip. We made sure to leave the house early to minimize our travel time. Reggie practicing before we start. The cases on the table contain the pistols available to use. 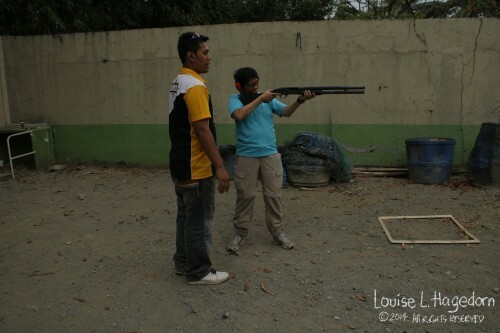 This was Bamboo’s first time to shoot, so we were given a safety lecture. 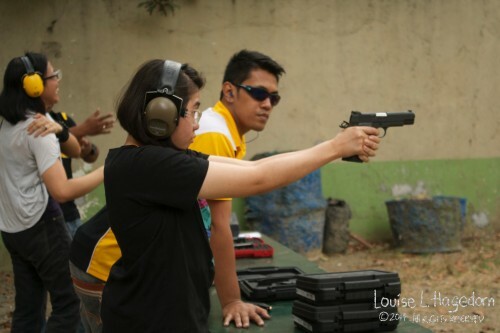 Afterwards, we were allowed to shoot the pistols in pairs to ensure safety. 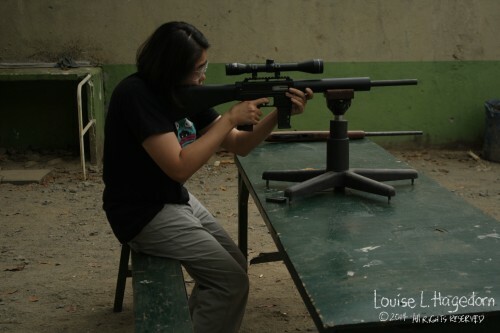 Bamboo shooting while Ela loads a magazine. 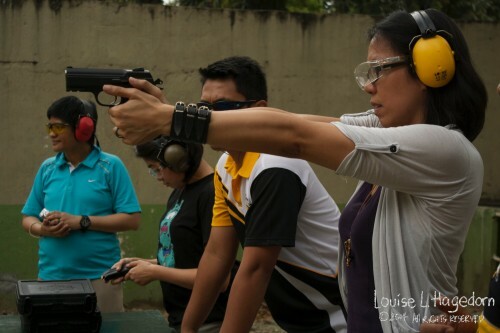 Armscor’s 1911 A2 – 22 TCM (Tuason Craig Micromag) is fun to shoot. There’s very little recoil. 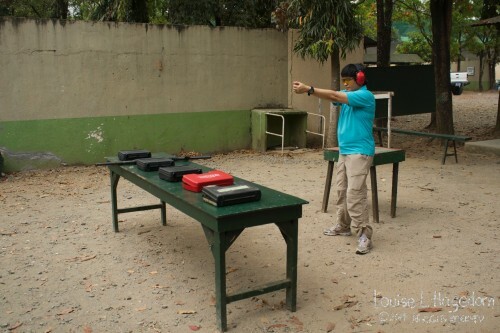 It was almost like firing an airsoft pistol. 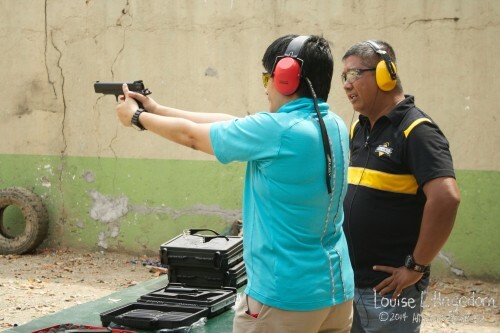 The sound is louder than you expect from a 22 calibre cartridge. I felt an adrenaline rush the first time I heard it. It made car alarms go off. 22 TCM are Armscor proprietary cartridges. It’s a 22 caliber bullet in a bottleneck shaped casing with 40 grains of gunpowder packed into it. This added power gives the bullet a velocity of about 2000 fps (feet per second). 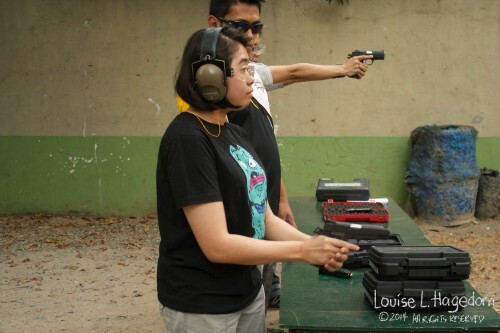 Ela firing an Armscor 1911 A2 – 22 TCM. Alpha shots all the way! Reggie and her target board. All hits, mostly center mass shots, with some head shots. The head shots went through the same hole. After testing the pistols, we tried out the rifles in the next bay. Mars firing a MIG 22. We’re in the shed as it started to rain. Ela’s turn with the MIG 22. 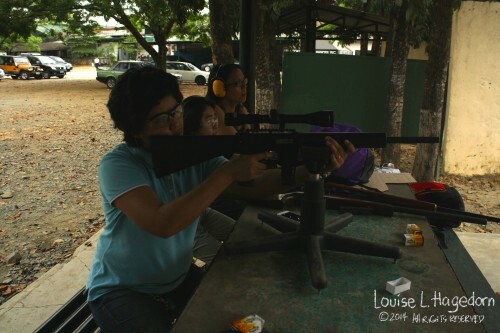 The rain stopped so we were able to shoot at the nearer table. Ela fires in a standing position. Reggie’s turn with the MIG 22. 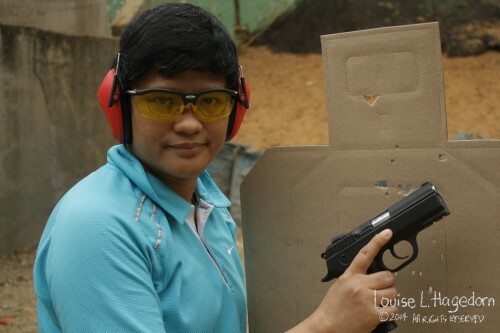 Reggie tries out a shotgun. The promo is every Friday, until the end of March. 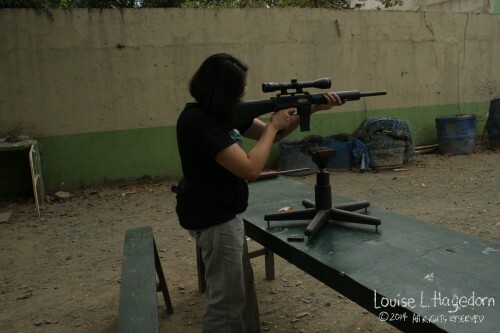 We spent 2000 pesos (approximately USD 45.00) on bullets for all four of us. That’s what we normally spend for one person in a range. The savings are worth it. We’ll try to go another Friday this March.